Following the two brief trailers from earlier this week, FX has released four more Fargo teasers before its debut on Tuesday, April 15. 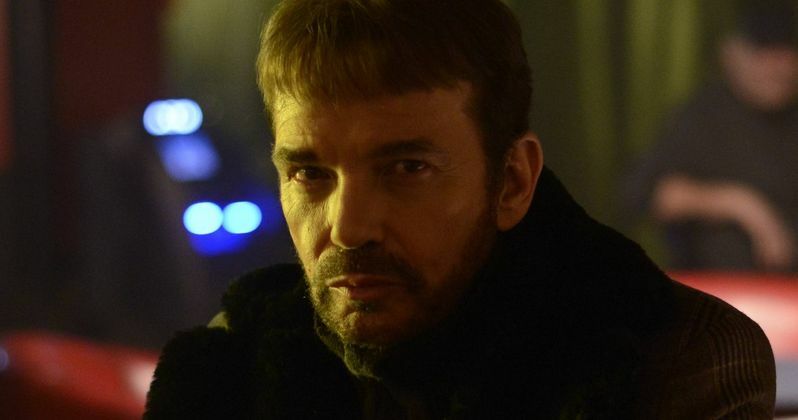 Two introduce Billy Bob Thornton as Lorne Malvo, a manipulative criminal who takes advantage of sheepish insurance salesman Lester Nygaard (Martin Freeman) in this 10-episode miniseries. Watch as Lorne tries to enjoy a steak dinner, before checking on his "passenger" in the trunk, along with brief teases of an unknown runner and a frozen carcass.